Setup Solutions LLC appreciates the opportunity to work with you on your project. You can pay your invoice or make a payment use a regular Credit Card or a PayPal account. 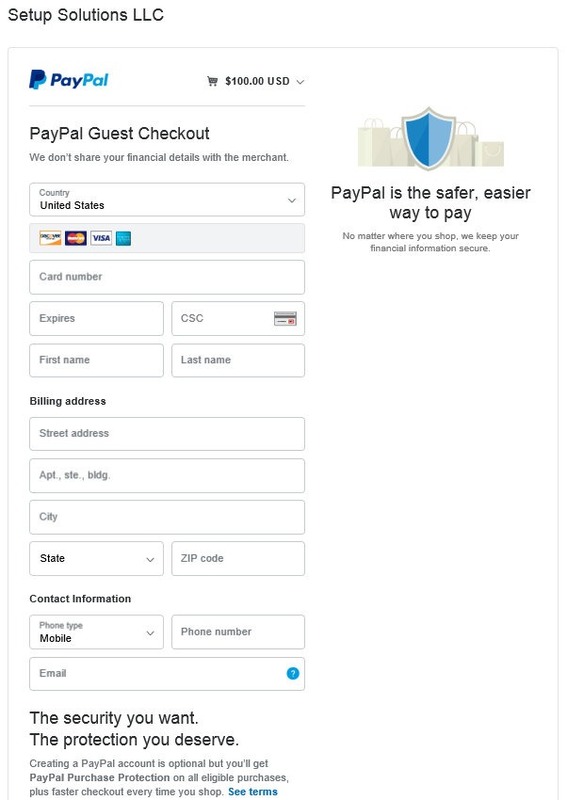 If you have not used a credit card for making payment via PayPal please review the steps below. Should you have any questions, please feel free to contact me. Remember you DON’T need a PayPal account to pay your invoice. 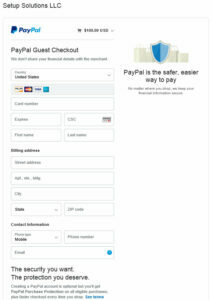 Use the PayPal button to begin payment process! 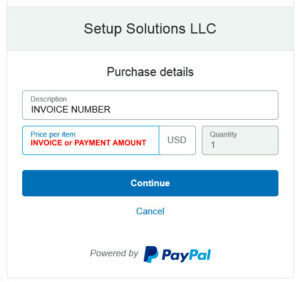 You will see a prompt for the item…please use the Setup Solutions invoice number or short description of work performed and include the invoice amount or payment. The next windows requests your PayPal login information for your account. 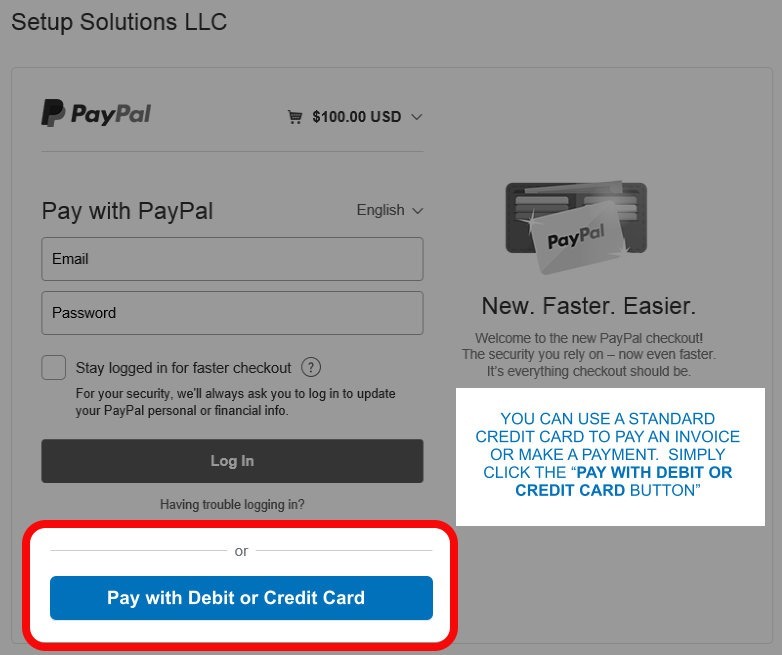 If you don’t have an account or you do not wish to use PayPal account to make the payment, you can click the box at the bottom of the windows that says “Pay with Debit or Credit Card”. You will then be taken to a window to complete the credit card payment process. 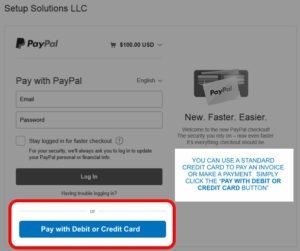 Using the PayPal credit card from, provide your credit card information to complete the payment process.